After cameras picked up some Manchester United fans taking selfies with Tottenham Hotspur star Lucas Moura following Monday night’s 3-0 defeat, other supporters have reacted angrily to their actions. 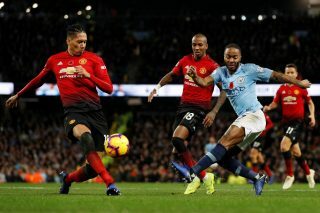 The Spurs ace scored twice as his side hammered United in the second half, leaving Jose Mourinho’s side with just three points from as many games. After seeing off Leicester City in the Premier League opener, they’ve now lost to Brighton and Tottenham while conceding six goals in those games, meaning the boss has a lot to think about ahead of the trip to Burnley on Sunday to avoid falling further behind our rivals. 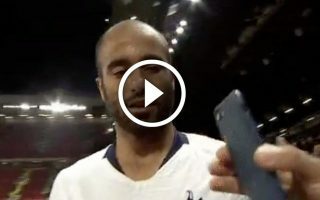 However, the fans seen in the video below are facing a backlash after Sky Sports cameras picked them up asking for selfies with Moura as he walked towards the tunnel after the game. Judging by the comments below, some fans were raging over it and couldn’t believe what they were seeing. And, to be honest, this sort of thing doesn’t reflect well on the fanbase. 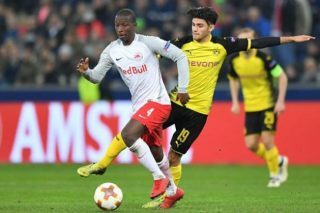 There could be an explanation such as they’re Brazilian supporters, but Moura was also previously linked with a move to United — on a number of occasions — with Sir Alex Ferguson watching the star before he came to Europe and joined Paris Saint-Germain.